European bee-eaters stay in Africa during the winter. Then they migrate from Africa to southern Europe. Some go to northwest Europe periodically. 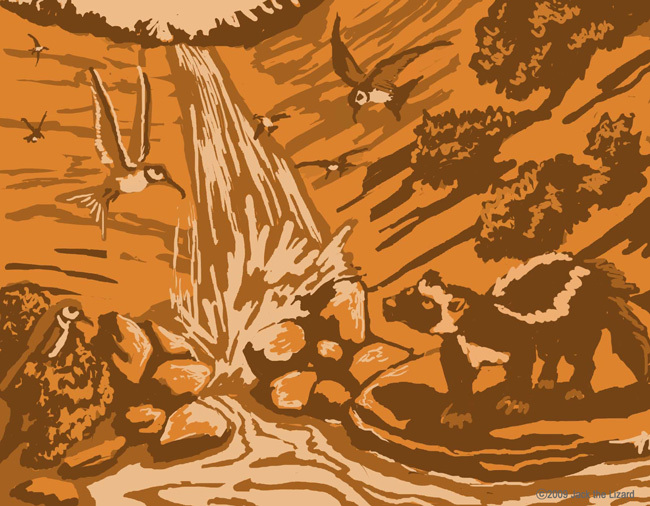 Eleonora's Falcons hunt migratory birds. 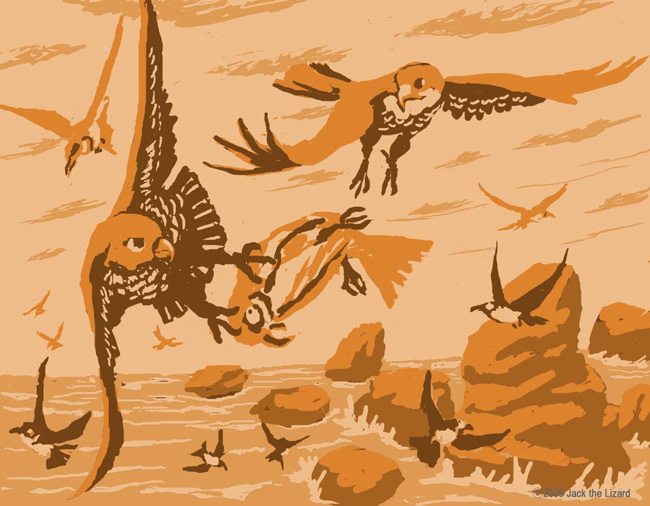 When European bee-eaters fly over the Mediterranean Sea, they encounter Eleonora's Falcons. Wolverine saw European bee-eaters in Scandinavia. In Europe Wolverines live in Norway, Sweden and Finland. The Wolverine is in the weasel family. Badgers and sea otters are also in this family. The adult wolverine is about 65~105 cm (25~41 in) in length and weighs about 10~30 kg (22~66 lb). 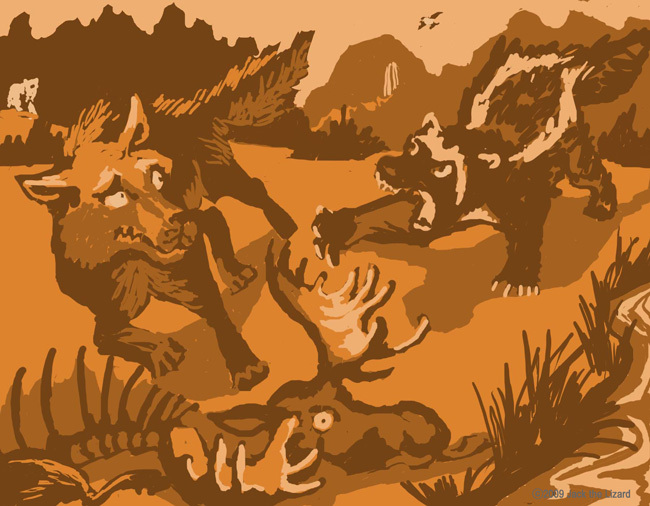 Despite of it's size, wolverine attack lager prey such as caribou and moose if they are weakened. 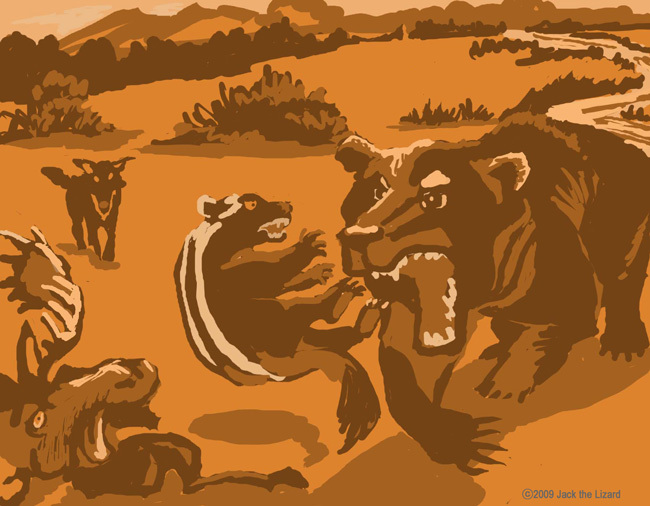 The wolverine is also known to steal kills from other predators such as wolves and even bears. The European brown bear do not care about the wolverine this time.